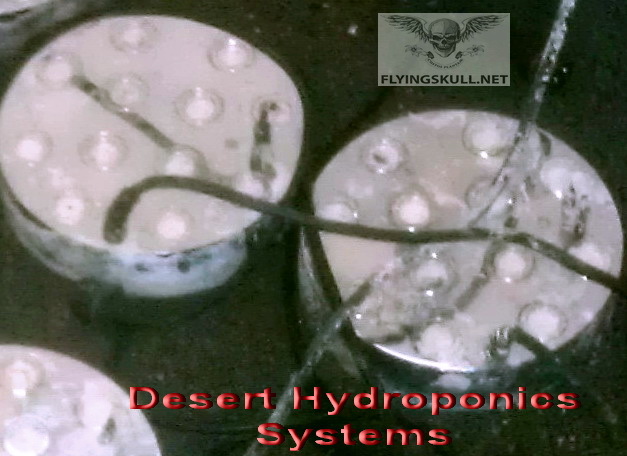 Flying Skull Plant Products is currently looking for distributors outside of the United States. We can make any water or soil grow a better plant and leave the environment a better place than when we found it. 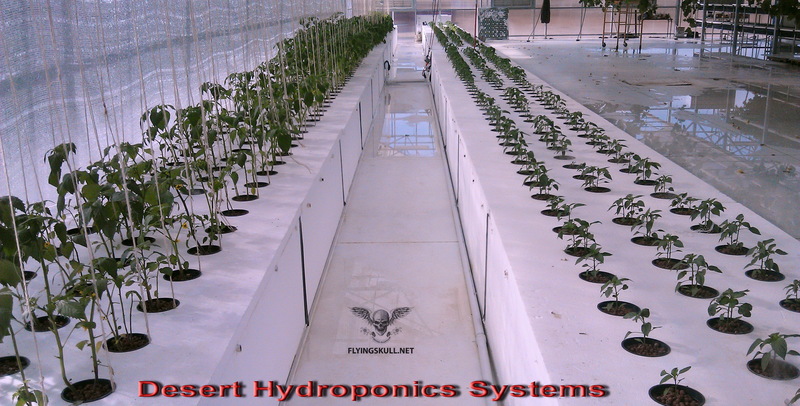 Our water conditioners and insecticides are very inexpensive for the commercial grower. Do you know anyone who would like to join our team? Anytime you see spider mites, aphids, yellowing leaves, curling leaves, leaf tip burn, purpling of the stems, leaf drop and more; you have an 80% chance that it is a result of problems in the root zone! White roots don’t signify healthy roots!! 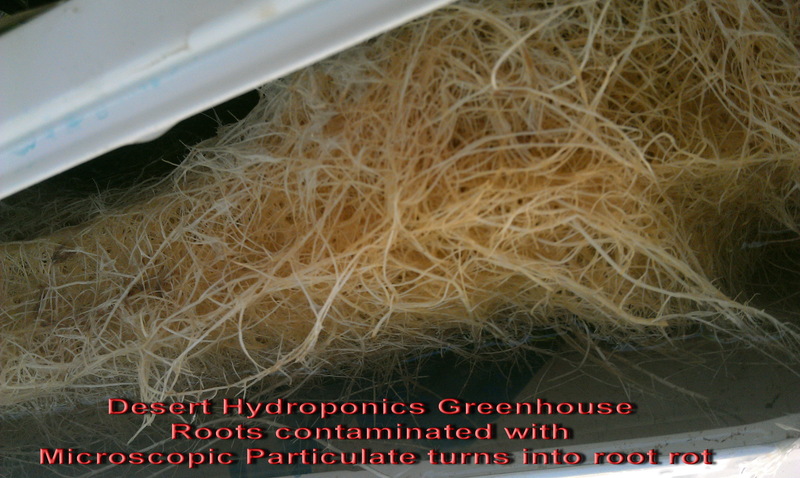 A healthy plant with no issues signifies healthy roots. Z7 is not a fungicide and it does not kill Pythium, it denies Pythium a place to colonize and thrive. Z7 will not allow micro particulate and inanimate slime to clog the roots permeable membrane which in turn allows for greater osmosis. With the new high-tech greenhouses, tens of thousands of plants can be placed onto trucks daily, destined for grocery store distribution. The biggest down side to this type of venture is the poor condition of the water supply. The water quality, in most cases, is bad in the winter/spring and downright awful in the summer/fall. 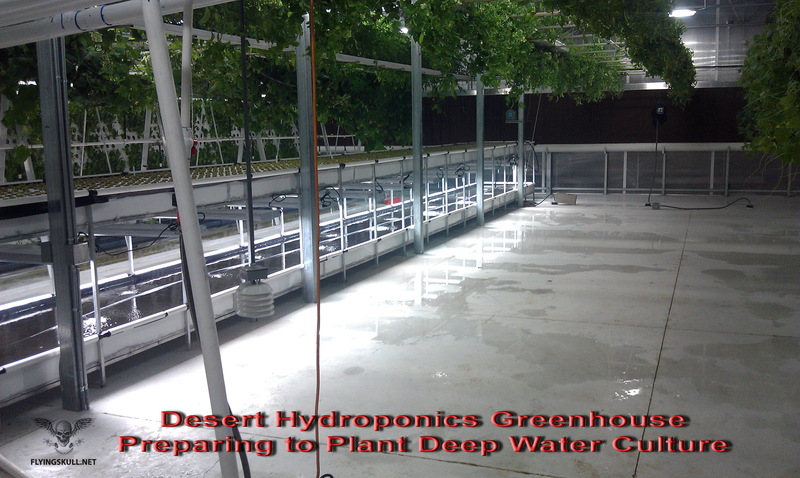 Most greenhouses around the world deal with questionable water supplies and do their best to work around it. Z7 makes the worst water work great for growing plants, reduces labor costs, reduces fertilizer costs and is skin contact and environmentally safe. 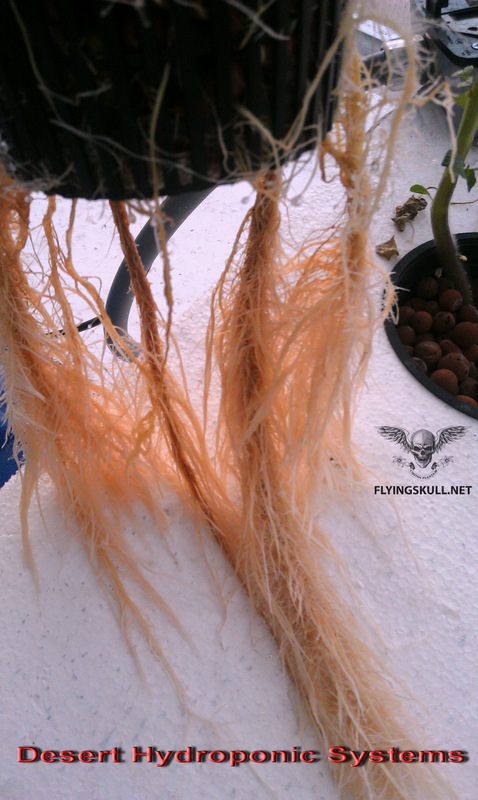 When Flying Skull was called in to help this grower, the plants were all suffering from one of the three stages of root rot. This issue was clearly stemming from the water supply. Z7 is being used to keep the plants healthy by making sure the roots osmotic process is kept at its highest levels, guarding against Pythium, root rot and minerals adhering to pots and equipment. Last but not least, Z7 reduced the growers fertilizer cost up to 25%. Environmental impact is kept to a minimum when Z7 is used in place of older harsh chemical technology. These high-tech greenhouses are located in the desert. 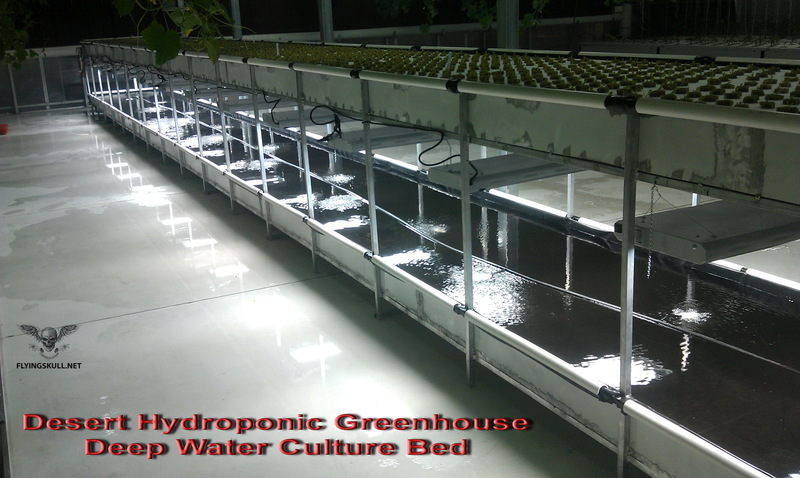 Vertical and above ground horizontal growing systems have become popular with the advent of hydroponic systems. Without the use of Z7, the quality of these plants could be in question as the minerals in water supplies and decomposing plant materials pose a threat to equipment, plant roots and quality produce. Pythium and related root diseases easily find their way to the decomposing plant materials and rotting root cells make soap-like solutions that reduce the waters ability to hold oxygen. A healthy root system can defend itself from Pythium and other root diseases. Anytime you see spider mites, aphids, yellowing leaves, curling leaves, leaf tip burn, purpling of the stems, leaf drop and more; you have an 80% chance that it is a result of problems in the root zone! White roots don’t signify healthy roots!! A healthy plant with no issues signifies healthy roots. Consistency is the backbone of all businesses. Without the consistent daily delivery of fresh, great tasting produce, this well oiled high-tech greenhouse machine might come to a halt. 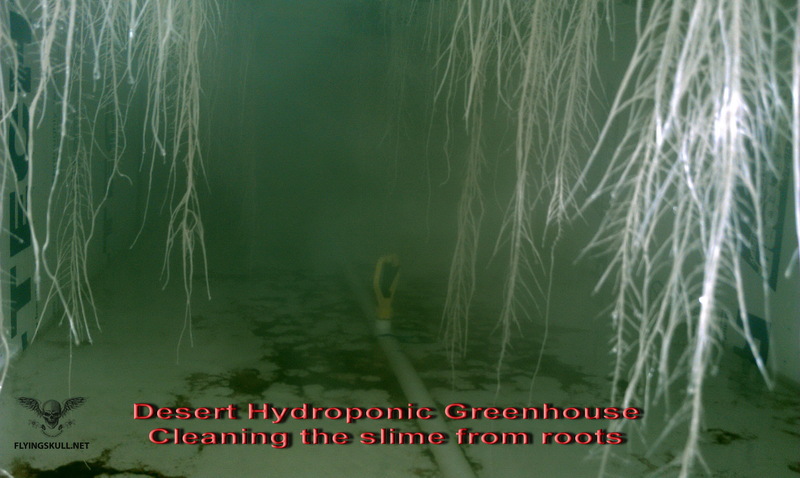 The advanced high-tech fogging systems pictured here deliver nutrient to the roots. Transducers (the rounds discs) located in the bottom of the tanks vibrate creating the fog. 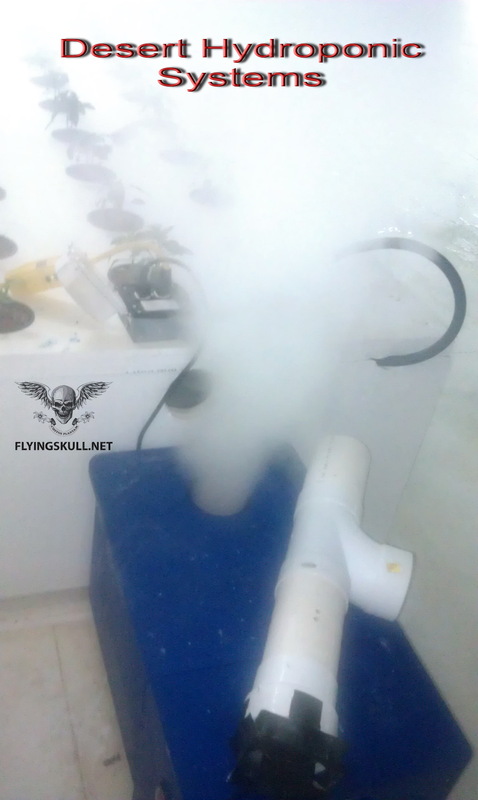 Once the fog box is covered it creates its own pressure and forces the fog into pipes which in turn find their way to the enclosed root boxes. One of the reasons that fog feed delivery systems are used is that fogging eliminates the need for high pressure pumps, feed lines and sprayers; older technology that requires added labor to clean and maintain the nutrient delivery to the plant root system. Of course, the downside to the high tech transducers is that they are susceptible to mineral build which keeps them from vibrating. Z7 water conditioner- root and system cleanser is also used to eliminate component mineralization, a natural buildup of minerals on the moving parts of older technology high pressure systems and the new fogging machines. The picture clearly shows an effect mineralization has on the root chambers transducers. The plant root system is dependent on the ultra high vibration of the transducer, so when mineral deposits occur between the vibrating discs and the main housing, the transducer loses its ability to throw fog into the root chambers atmosphere. It’s pretty cut and dry; if there's no fog there's no food, water or oxygen to the roots. The brown slime and sludge collected in this fogging tank represents the dead and dying cells that sloughed off the roots, bacterial contamination and high iron content of the water. This condition can happen overnight, Flying Skull recommends Z7 to help prevent micro particulate and inanimate slime from causing crop loss. Z7’s new technology also eliminates the mineral buildup on other internal and external parts of the hydroponic system and building, reducing labor and the use of caustic chemicals that harm people and the environment. The reduction of labor is extremely important in maintaining a proper profit margin and allows growers to maintain a happy, educated and properly compensated long term staff. 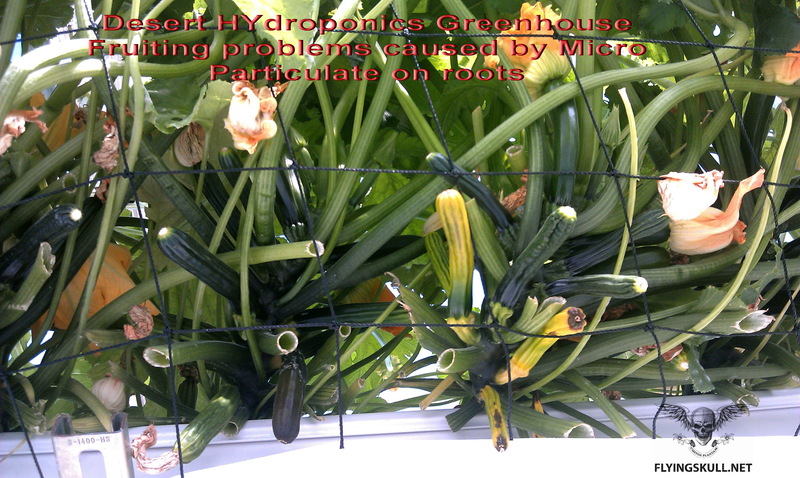 The picture on the left (A) is an example of hydroponic roots in trouble. In this case, the browning roots are an indication that about half are entering the second stage of root rot and are infected with Pythium. The outer cells are dying, making osmosis very difficult and the delivery of nutrients and oxygen to the plant's vascular system has been greatly reduced. This condition is primarily caused by microscopic particulate collecting on the root cells. Decomposing root cells produce soap-like nutrient solutions and slimy coatings on equipment, further encouraging Pythium to colonize and thrive. Reduced dissolved oxygen levels result in slow root regeneration. Leaves are now showing signs of deficiency, stems are weak, turgor pressure is below effective levels and drooping or wilting is observed. Plants are now too weak to hold themselves up and are laying on their side and bending the main stem. 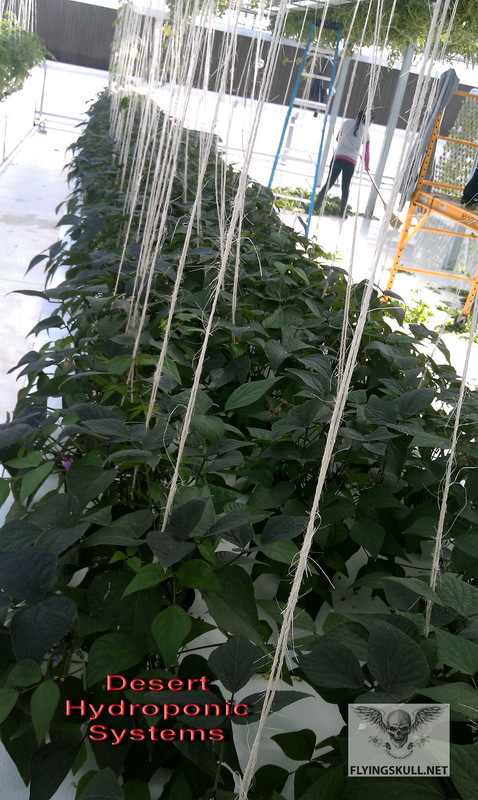 The picture to the right (B) is the same plant 7 days after Z7 was introduced into the hydroponic system. Notice the energetic regeneration of the roots and the root rot is clearly diminished, in this case the rot is shown as a brownish color. Within 24 hours after the introduction of Z7 the plants were feeding again, holding themselves up without support and wilt was diminishing. Z7 pulls the dead and dying cells from the roots allowing oxygen and nutrients to once more penetrate the root cells and enter the plant's vascular system. This simple process displaced the Pythium by depriving it from a place to colonize. There was no time to lose in rescuing these plants from 3rd stage root rot and the resulting plant death. 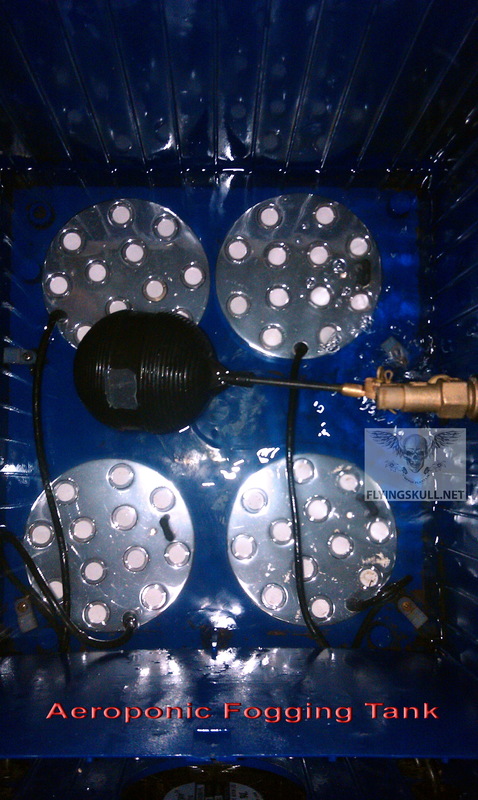 A low pressure sprayer was installed inside the fogging systems root boxes to help the Z7 dislodge the massive quantities of diseased and decomposing plant root cells. Look closely on the floor and you will see the Pythium diseased particulate accumulating on the floor. This residue was eventually washed away from the box floor so it did not return to the fogger tanks. 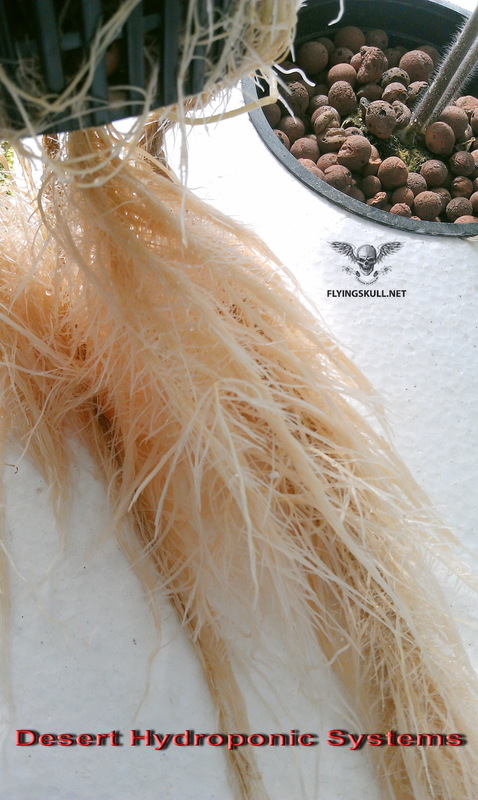 Notice how the plant roots are responding to the treatment by displaying strong healthy white roots in picture B.
Z7 is an important part of keeping hydroponic and soil growing systems clean and free of inanimate slime, the sludge that clogs sprayers, tubes and supply lines. Z7 also keeps the roots free of microscopic particulate, allowing the roots to take full advantage of osmosis and feed on demand. Clean roots are healthy roots; cell structures capable of delivering nutrients and oxygen to the plants vascular system for growth consistent with the plant’s genetic potential. Use Z7 at every tank change. For the Head Grower, Z7’s protection from catastrophic root rot and soaring labor costs assures that greenhouse schedules can be relied upon for market distribution. Depending on volume purchased, Z7 costs 1-3 cents per gallon of water in the system’s tank. A fair price for what the grower gets in return. NFT or Nutrient Film Technique is used throughout the world. It can be placed on the ground or suspended as you see here. In this case Zucchini is being grown high up in the greenhouse to take advantage of the full light while smaller shade plants will be grown underneath. 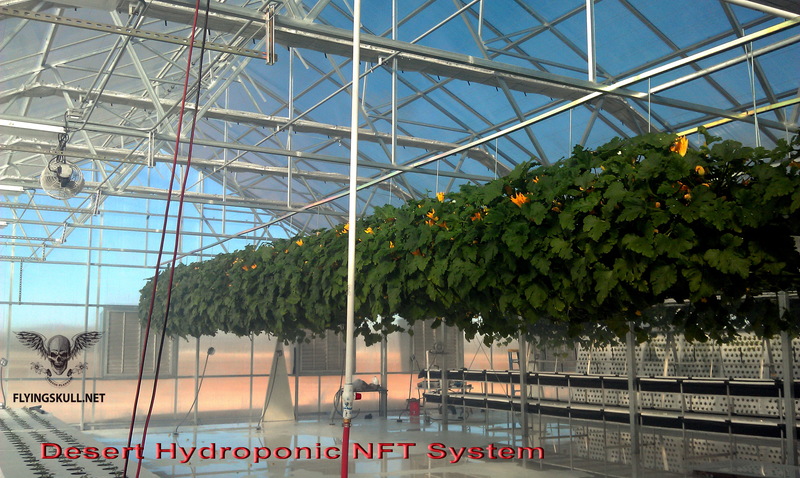 The way nutrient is delivered to NFT systems has the same problems associated with it as Fogging and Deep Water Culture beds. Looking at these plants closer, we can see some problems that need to be addressed. The fruit is being affected by root conditions inside the NFT tray. When micro sized particulate forms a barrier to oxygen and water, it will also inhibit the transfer of minerals and amino acids through the roots permeable membrane. The plants are affected early on when only limited nutrient deficiencies are present on the leaf and get worse when the plants are fruiting. As with most plants, it is at fruiting that the Head Grower starts to see major signs of the Pythium root rot problem. In the past, root problems were seen as common place and the blame was placed on just about anything but the actual cause. Z7 will can stop root rot from starting or progressing and help the plant to regenerate new roots! When examining the Zucchini root system we find that the plants are experiencing 1st and 2nd stage root rot. The browning of the roots is generally a sign of the 2nd stage of root rot. The first stage is very hard to see unless the roots are under a microscope. Flying Skull suggests that Head Growers use Z7 at seed start and continually use it throughout the growing cycle to prevent this condition from happening. At this viewing, the plants are trying to regenerate new roots as the older ones die off. Without Z7 the roots will decay, adding to the micro and macro particulate in the system, which in turn slows the regeneration of the new roots. This vicious cycle will result in the loss of at least 50% of the fruit; if the plants live. 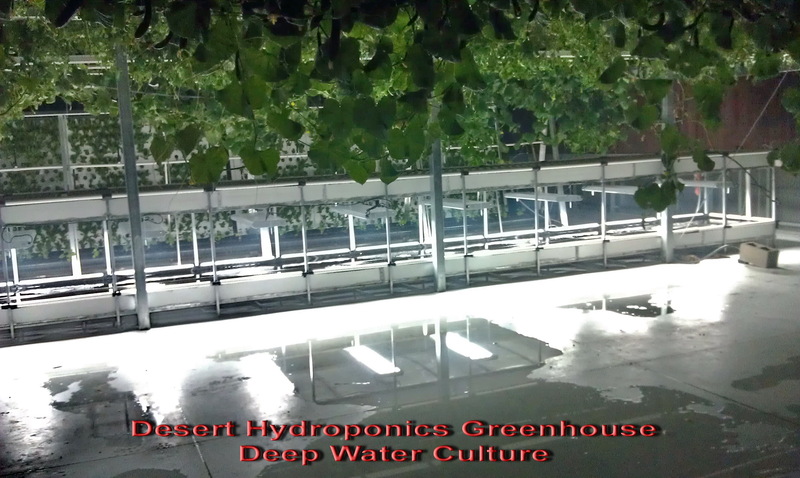 Deep Water Culture systems come in many shapes and forms. In this particular system, the water is only six inches deep. 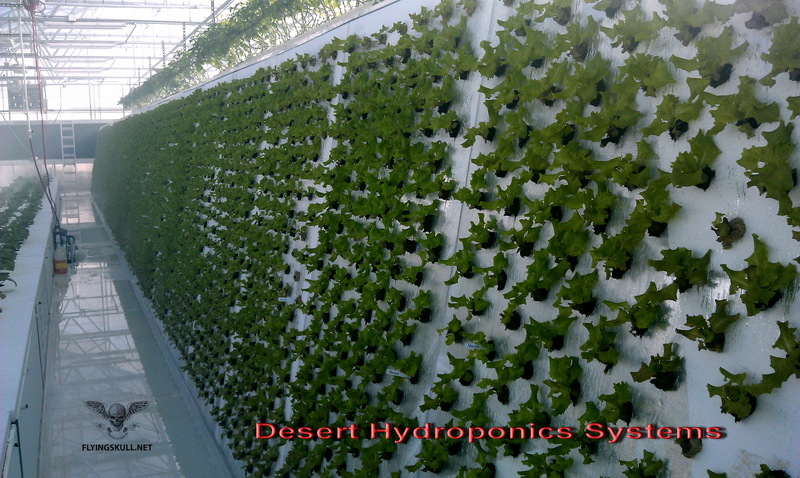 It is a float system that incorporates floating Styrofoam boards that have holes in them for the plant roots to grow into the nutrient solution while the above ground portion of the plant is free to fruit. 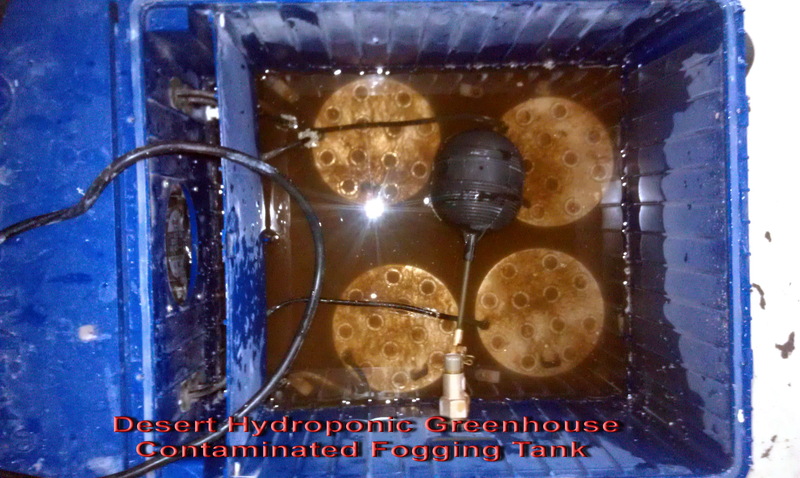 In most cases, these systems are designed in such a manner that the Styrofoam boards are hooked together, and pulled across the tank for harvesting. Z7 will be used in this system at the next start up to eliminate the possibility of micro particulate contamination of the root zone that could invite disease or root rot. Mineralization in this type of system can be extremely hard on pumps, pipes and tanks. The costly maintenance of mineralization takes away from profit margins and push produce prices upwards. Z7 eliminates 90%+ of the maintenance costs and in most cases the systems never need to be scraped or hard flushed. Mineralization can be simply wiped off with a cloth. Artificial lighting is used; in this case T-5 fluorescents illuminate the growing area. 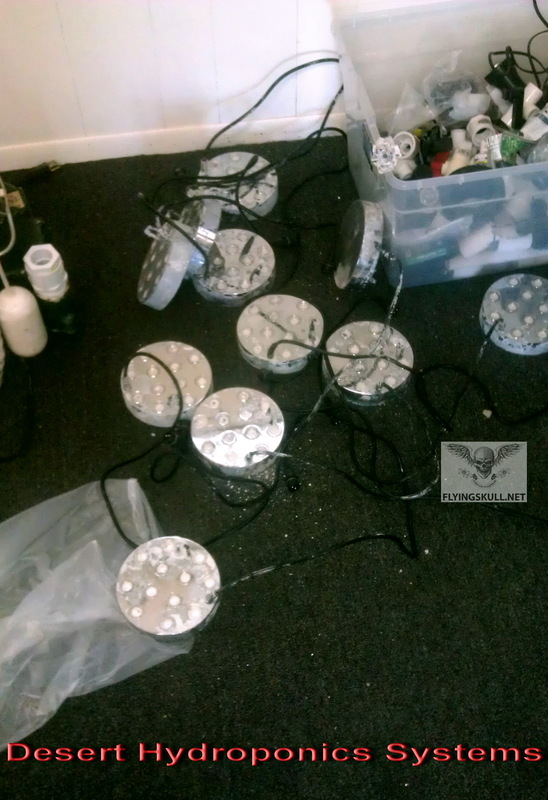 Inda-Gro Induction lamps will be tested to replace the T-5 lighting because of the longevity of the Induction lamps and their ability to reduce their power output on sunny days, whenever the quantity of light has been reached for any given plant. Flying Skull strongly suggests the use of Z7 to insure ease of maintenance and reduce labor costs. Nuke em should be used to safely kill plant leaf pests. Nuke em will not alter the taste of aroma of produce insuring the crops value will be maintained even through a pest attack. Flying Skull plant products is currently contacting the commercial market through its distribution partners. Greenhouses, orchards and vineyards will bring better produce to market, and at the same time reduce labor costs, reduce plant death and instances of worker injury. 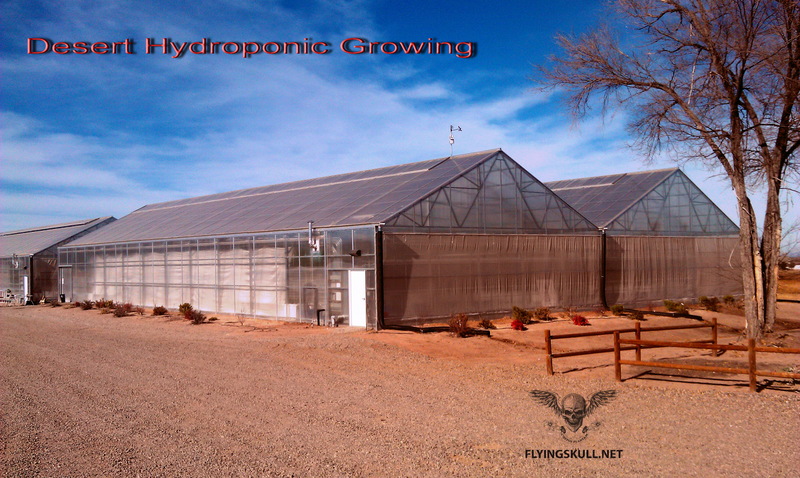 As growers become more aware of the hidden costs of using toxic pesticides, fungicides and irrigation maintenance products, the name Flying Skull Plant Products will become the norm and the grower will reduce the cost of insurance, registrations, training and handling permits. Litigation and medical costs associated with pest management inflicted diseases will be reduced. Field run off of toxic chemicals leaching into ground water, wells, streams and lakes will be a thing of the past and so will be the fines and lawsuits that accompanied them. These reduced costs will help keep growers stay in business.